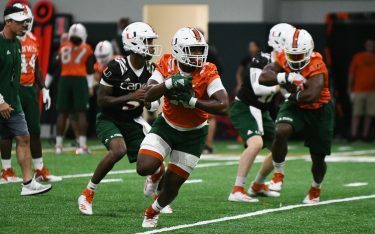 Was the University of Miami that good or St. Thomas that bad? Probably a little bit of both in the Hurricanes’ 14-2 victory over the Bobcats on Wednesday night. After suffering a 9-0 loss to Wake Forest on Sunday, Miami flipped the switch on offense, recording eight hits and 12 RBIs. But St. Thomas also walked 16 batters and played 10 pitchers throughout the night at Mark Light Field. The Canes (13-16) took their first lead on an Edgar Michelangeli RBI-single that made the score 2-1 in the bottom of the fourth inning. With the bases loaded, junior shortstop Brandon Gali hit a two-RBI single to center field. On the same play, St. Thomas center-fielder Orlando Rivera suffered a throwing error to third base, which allowed leadoff hitter James Davison to advance home to score the fifth and final run of the inning. Miami took a 5-1 lead that it would not surrender. As much as the Bobcats (28-13) fell apart on the mound, the Hurricanes’ pitching performed well from the start. Midweek starter Gregory Veliz (3-2) continued his strong season at the hill, striking out six and surrendering just two earned runs in 5.1 innings of work. He surrendered a triple to David Palenzuela and an RBI-groundout to Kendrick Gutierrez in the top of the second to give St. Thomas an early 1-0 lead. But Veliz would recover, giving up just one run the rest of the way. Veliz came into the game holding batters to a 1.49 average and has now gathered 35 strikeouts in just 31.2 innings pitched. UM managed a total of eight runs in the sixth and seventh innings, highlighted by a Romy Gonzalez two-run homer that flew over the center-field wall. It was Gonzalez’s sixth home run of the season. St. Thomas had an opportunity to start a comeback in the top of the fifth after a Jack Diaz double. But Gali would make an incredible catch-and-throw to first base to force the second out and avoid runners on the corners. Veliz forced a groundout to end the inning, leaving a Bobcat runner stranded at third. 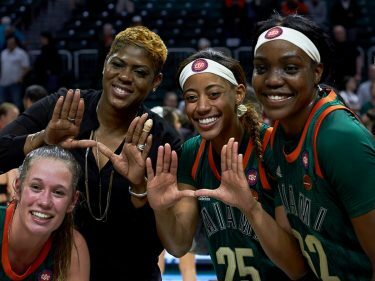 This brings the Miami winning streak against St. Thomas to 24. 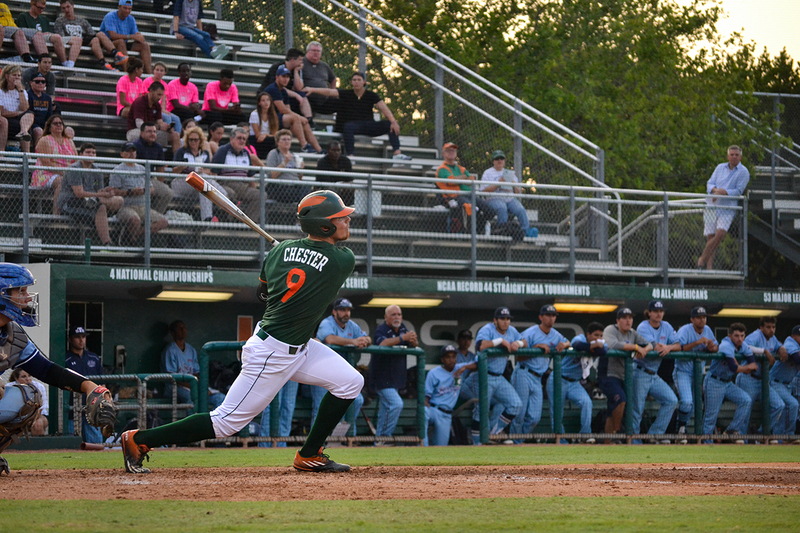 In last year’s matchup, the Canes topped the Bobcats 7-6 in 10 innings. Hurricanes senior basketball player Davon Reed was in attendance and threw out the opening pitch. Miami looks to build on the momentum of this blowout when it faces off against Duke in a three-game series this weekend. The first contest is set for 7 p.m. Saturday at Mark Light Field.